Until your joke goes through one of these, you have nothing. There is no greater thrill than performing a joke you wrote or hearing a comedian perform a joke you wrote and the joke getting a huge laugh. LOL means comedy success. How to write comedy for a comedian or for yourself is an art form that takes years of practice. But you need to start in the right direction and that is the purpose of this FREE Comedy School. Comedy is subjective. No comedian or comedy writer can make everyone laugh. All comedic acts find their audience and then deliver what works best for that audience. Your goal as a comedy writer is to create mental pictures in the minds of the audience. If the audience can visualize what you just said, you have a much better chance of making them laugh. Writing great comedy requires that you know your audience. Below, I will explain in more detail how you have to write differently for different audiences. Every great comedy writer puts their thoughts down on paper. A story about Jay Leno that was related to me by a fellow road comedian was if Leno saw a young comedian in a comedy club without a notebook, he wouldn’t talk to him. A friend of mine in St. Louis was Jackie Mason’s driver for a week. Mason had my friend drive him to the comedy club where Jackie would sit all day and write. My friend asked him, “Why do you write so much? You have tons of great material.” Jackie replied, “Having great comedy club material is fine. But if you want to perform on Broadway, every joke has to be a diamond.” Mason spent hours every day searching for diamonds. As a comedy writer, you have several variables you need to consider before you begin penning material. Where will the material be performed? If you are writing a monologue that will appear on mainstream television, the material must be clean and crisp. Television comedy sets tend to be 2-3 minutes long. There is no time for long setups. Getting to the punchline quickly is imperative. If you are writing for a corporate event or a roast, there may be material that is off limits. Or some material might be deemed as offensive to those in attendance. Doing advance research by questioning the host or overseer of the event will help keep you on track. Writing for a comedy club or cable television audience allows the writer the most leeway with material. Who will be performing the material? Are you writing for yourself or for another comedian? In either case, the writer needs to have a firm grasp of the character or stage persona of the act. When I performed with Dan Whitney at the St. Louis Funny Bone in 1995, he was writing for two characters – himself and a new character he was using for radio station call-in shows – Larry The Cable Guy. Jeff Foxworthy found his initial stardom with Redneck jokes. Foxworthy didn’t do political satire because that was not something that fit his stage persona. Lenny Bruce broke all of the obscenity laws in the early 1960’s with scathing social commentary that was viewed as pure vulgarity by his critics. Bruce opened the doors to the use of street language and profanity on stage. His routines were long rambling affairs that did not have a regular rhythm of setup and punchline. Richard Pryor and George Carlin artfully used profanity in their acts. Pryor brought true to life street characters to the stage and the vulgarity was intrinsic to those characters. His material was not viewed as dirty, but as a glimpse into real life. Carlin used profane language as a reflection of what we all thought, but would never say. Does profanity fit your character? Jerry Seinfeld has built a career that is completely devoid of obscene language. Andrew Dice Clay built a stage character that would wither and die without profanity. Clean acts tend to get more bookings and can also work more venues – mainstream television, corporate events, private parties, etc. What type of material will you write? Once you have a grasp on the character you are writing for, you have narrowed the spectrum of what and how you will write. Does your character tell one-liners or does the character employ observational comedy with longer setups? You can write from a personal perspective, like Rodney Dangerfield. You can write observational comedy, like George Carlin. You can write jokes, like Jeff Foxworthy. Bill Maher focuses on political and topical events. Late night television comedians get laughs from topical material. It’s up to you to decide which direction works best for you. 1. Those that say funny things – usually jokes, humorous stories – the focus is on the material. 2. Those that say things funny – over-the-top characters who gain laughs from their delivery more than they do from their material. Successful comedians will employ both techniques. However, comedians that emphasize writing great material and say funny things have more longevity. Comedians who say funny things use a traditional setup, punchline style of writing or they weave hilarious stories with gems of laughter built in along the way. Bill Cosby told long stories that had huge payoffs. His mastery was in creating humorous visuals along the way that kept the audience howling until he could unload the big payoff. Arsenio Hall was a comedian with brief fame in the late 1980’s. His style of comedy mainly relied on saying things funny. His material was never that strong. While a comic genius like Rodney Dangerfield both said funny things and said things funny. My personal preference as a comedy writer is to write tight jokes. Comedians who write great jokes are more likely to have their material be repeated by their followers. When an office worker can repeat one of your jokes to his co-workers and get a big laugh, that is a great joke. That’s why writing down all of your material is so important. If you can read the material, dryly, and it is still funny, you’re off to a terrific start. If you are writing for another act, you will usually be required to submit dozens of jokes or sketches for approval. The act will determine which jokes best fit their stage persona and then try them out in a comedy club or at a rehearsal. If you are writing material for yourself, you will eventually have to face the moment of truth and perform the material in front of a live audience. Until you’ve tried the material out on stage, you have nothing – just ink on paper. 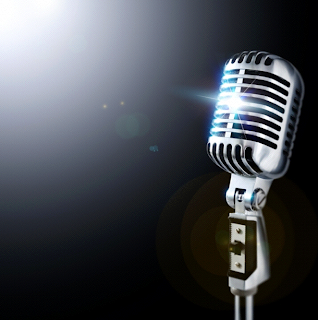 To try out your material, look for comedy clubs that offer an open mic night. Or you may go to a comedy club and see if they will allow you to perform for five minutes during a regular show on a weeknight. Open mic is your best avenue because the audience understands that some of the acts are new and some are a bit more seasoned and they will be slightly more forgiving. Prepare about five minutes of material. Read your material and time it. Keep in mind that if you aren’t getting laughs with the material, you will go through a lot of material quickly. Nerves will tend to speed up your delivery too, so you will burn through material at an even faster rate. Always prepare much more material than you think you’ll need. It's much better to have to much than to run out and be left in the spotlight with nothing to say. Start with your second best joke or routine and end with your best bit. Use the time in between to try out everything else. If you survive your inaugural stint on stage and want to try it again, become a whore for stage time. Stage time is what separates the so-so comedians from the great ones. I used to compare stand-up to being on the pro golf circuit. You cannot compete as a pro golfer if you only pick up your clubs every now and then. Outstanding golfers practice every chance they can get. Comedy is the same way. The more you are on stage, the more material you can test out, the faster your career will progress. Record your performances with a handheld recorder. When possible, videotape your stage appearances. Pay close attention to your delivery and body movements. Are you funny to watch? Or are you boring? The tape won’t lie. Developing a character takes time, too. No one goes on stage and has their character nailed down from day one. Dan Whitney performed as himself for a number of years before he stumbled on the Larry The Cable Guy character. Jay Leno worked on the road for over a dozen years before he began regularly appearing on the Tonight Show with Johnny Carson. George Carlin started out as a comic with well-trimmed hair, wearing a suit before he let his hair down, fine-tuned his stage persona and became a star. If you want some direction on comedy writing, I highly recommend Gene Perret’s Comedy Writing Workbook. Perret was head writer for Bob Hope and the Carol Burnett Show. He has a wall of awards that attest to his mastery of writing comedy. His workbook takes you through all of the different types of comedy – sarcasm, aphorisms, satire, etc. There are exercises for writing jokes and for writing sketches. To me, this is a must for any budding comedy writer. Writing comedy sketches is a labor of love that requires a lot of trial and error. Write often. Test out your material every chance you get. Eventually, you will write crowd-pleasing comedy that others will love to see and repeat. Your FREE Comedy School is complete. Now you know how to write comedy for a comedian or for yourself.